First Offense DWI new Hampshire - Here's Eveything You Should Know! Are You Charged With a First Offense DWI In New Hampshire? In New Hampshire, a first offense DWI is a Class B Misdemeanor. As a Class B Misdemeanor, it is a criminal offense but is not punishable by jail time. The maximum penalty you can receive is a $1,200 fine and up to two year loss of license (does not include the DMV suspension). RSA 265-A:18 is the law that sets out the penalties for DWI in NH. Usually, more relevant to people charged with a first offense DWI, are the mandatory minimum penalties and not the maximum penalties. In order to have the maximum penalties in play, usually one would have to have caused an accident or have a prior DWI conviction outside of the 10 year look back window. RSA 265-A:18 codifies the penalties for driving while Intoxicated or Under the Influence of drugs. The Statute calls for certain mandatory minimum penalties. That means, that even if the judge were inclined to give you a lesser punishment then what’s called for, he can’t. The legislature has decided to stiffen the penalties and take the discretion, partially, out of the hands of the judge. A $500.00 fine. Again the maximum fine is $1,200.00. The person’s driver’s license or privilege to drive shall be revoked for not less than 9 months and, up to as much as 2 years. The court may suspend up to 6 months of this sentence, provided that the person has completed all other conditions of their sentence. Basically, the mandatory minimum license suspension period, if you do everything your ordered to do, is 3 months. In order to get your license loss reduced from 9 months to 90 days, our lawyers must file a motion to reduce the suspension with proof that you have completed the conditions of your sentence. A requirement to complete a Department of Health and Human Services approved impaired driver education program prior to the restoration of the person’s driver’s license or privilege to drive. Of course, the fact that there are mandatory minimum penalties for a first offense DWI in New Hampshire does not mean that the Court does not have the discretion to impose other penalties. For example, the Court has the authority to impose a number of other conditions to your sentence such as ordering that the individual submits to random urinalysis or other testing. The Court could also order that the individual install an interlock device in their vehicle, or any vehicle he/she may drive, in accordance with RSA 265-A:36. In New Hampshire, a DWI charge qualifies as a first offense only if the person does not have a prior conviction, in any State, within the prior ten years. In some states, like Massachusetts, there is a lifetime look-back period. That is a big difference. That means if you get a second conviction even fifty years apart, you are looking at mandatory jail time and second offence penalties. As with any level of DWI offense, the first approach is to devise a strategy that does not lead to a conviction. Many times, our lawyers are able to negotiate a reduction in charge. For example, often times we are able to negotiate a “wet reckless” as it is often referred to. This means that the DWI is dropped down to a reckless driving. RSA 265:79 is the reckless driving statute. A reduced DWI to a reckless driving results in a 60-day loss of license and a mandatory $500 fine. There are a number of big differences between a first offense DWI and a reckless driving. First, A reckless driving charge is a non-criminal civil infraction, like a speeding ticket. Second, you don’t have to take the alcohol evaluation and driving classes. Third, you will not have a DWI on your record exposing you to a second offence should you ever get convicted again within ten years. Sometimes, we are able to negotiate your DWI all the way down to a negligent driving. This is a civil infraction similar to the “wet reckless” that has even lesser penalties. The minimum penalties are a $250.00 fine and carry no license loss. There are many times that we have successfully negotiated down DWI to negligent driving. The ability to consistently secure these kinds of deals is a result of years of taking cases to trial and securing not guilties. It is the reputation we have worked hard for and which you can benefit from. Prosecutors will not offer every DWI lawyer the same deals. If the prosecutor does not know the defense lawyer well, he will not be concerned about losing the case. If the defense lawyer does not handle a large volume of DWI defense work, then he will not know all the intricacies and technical defenses to DWI charges. Our lawyers have handled DWI/DUI cases in every court in the state. 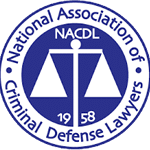 Although prosecutors revolve at a high rate, our lawyers have worked with almost every prosecutor’s office or police force in the state and our reputation precedes us. We treat a first offence DWI seriously. In fact, we treat it just as serious as a second offense DWI or an aggravated DWI. 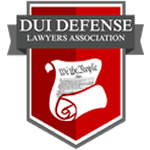 Call us to talk with one of our DWU/DUI defense lawyers. Our promise to you is that we will give you a defense strategy that gives you confidence. Our free consultation is worth your time. We will go over the specific facts of your case and, together, we will devise a strategy to get you to not guilty. Our lawyers are aggressive and experienced and will leave no stone unturned in getting you a not guilty. Take advantage of our free consultations and call us today. Your New Hampshire first-offense DWI can be beaten and we know how to do it.